While affordable space for housing and community activities in Europe has traditionally been provided by states, public companies and private corporations, the transformation of the welfare state and labour markets in the last quarter of the 20th century has gradually caused the disintegration of these institutions. The financialisation of real estate together with the growing precariousness of work has made space increasingly unaffordable for various social groups. In Switzerland, the establishment of foundations has been one of the instruments confronting speculation, pooling resources and providing affordable housing and community spaces. In 2016, Zurich and Geneva were ranked as the third and fourth most expensive cities in the world, after Singapore and Hong Kong. They are also the two biggest urban centres in Switzerland. Two important factors that influence the costliness of life in a city are land and real estate affordability. The affordability of a city’s land and real estate markets can be used as a measure of the level of inclusivity and equity in that city’s urban development. As current pressures on land and real estate drive market prices ever higher, segments of the population become excluded from this market; such lack of affordability can promote spatial and economic segregation within a city. Lack of access to equitable and inclusive urban development in the form of affordable land and real estate markets is a pressing challenge that many European cities face. Different mechanisms have been utilised to guarantee land and real estate affordability for low-income segments of populations in cities throughout Europe. In Switzerland, one effective method used to achieve this affordability has been employed by a wide range of foundations addressing real estate matters. These foundations purchase land or property with their own assets, develop real estate projects or directly rent out the purchased space at reasonable rates or below market price. Property purchased or developed by a foundation varies, and can include housing, commercial spaces and other types of community spaces. Some foundations encourage citizen participation during development, while others prioritise the protection of the environment. All of these foundations work for inclusive, fair and sustainable urban areas. In this article, we will take a closer look at Swiss foundations working towards land and real estate affordability in three of the biggest urban regions in Switzerland – Zurich, Geneva and Basel –, where land scarcity and lack of affordable real estate are pressing issues. The goal of this article is not to draw a comprehensive portrait of Swiss foundations active in urban development issues; rather it is to briefly describe, based on interviews with foundation representatives, the reasons why these foundations were created, the way in which they work and how they achieve their goals. In addition, this article will also analyse the advantages of such foundations in the Swiss context and discuss other tools that can be utilised to promote land and real estate affordability. The foundation, a popular model in Switzerland – In Switzerland, the model of the foundation is a popular one. Indeed, the country has a large foundation ratio per inhabitant as, according to the Swiss Foundation report 2016, there are 15.9 foundations per 10,000 inhabitants in Switzerland. Basel-City State is known for having the greatest density of foundations, namely 45.7 foundations per 10,000 inhabitants. In Switzerland, legislation – which can differ from state to state – is foundation-friendly. For example, non-profit foundations are exempt from income taxes. Their popularity is also linked to Switzerland’s strong banking sector and the flexibility such a format offers. Typically, a private foundation is created by a donation from a wealthy person, but foundations can also be initiated by a group of people sharing the same vision. Foundations are also widely used by the public sector. The Edith Maryon Foundation was founded in 1990 by a group of young people passionate about social issues. The goal of the foundation is to promote and guarantee social housing and workspaces in urban areas, and to participate in the deleveraging of land. By acquiring land, the foundation takes it out of the speculation cycle and makes it available for projects that serve the society. Other aims of the foundation include the promotion of equitable and inclusive housing options, such as the cohabitation of old and young people, families and one-person households, and handicapped and non-handicapped persons. The foundation encourages the self-governance of space, quality architecture and sustainable design as well as sustainable building techniques. They tend to promote new social partnerships between real estate owners and tenants. The Habitat Foundation was founded in 1996. Habitat strives to create a liveable city; the foundation works to create affordable housing in order to produce better urban environments. The foundation buys properties, acquires plot rights and conducts urban development studies in order to achieve its goals. Acquiring plot rights means that, in exchange for a monthly or yearly payment, the foundation or another entity is granted by the plot owner – a city or community, for instance – the right to build on their land and use the building for a given timeframe. When developing a project, the Habitat Foundation considers the design of common areas and outdoor spaces. It also develops projects in a participative manner, taking into account the needs of the inhabitants of a neighbourhood, and the opinion of local associations and potential inhabitants. The foundation rents some of its apartments at a reduced price, and others at a moderate market price. When renting its space, the foundation looks for diversity, with criteria such as household type, household income, social origin and ethnicity taken into account. In addition, the foundation has also developed a model to determine rent contribution – called ‘Mietzinsbeitragsmodell’ in German – based on the revenue and needs of a household. Moreover, the institution is politically engaged in matters regarding land management. It was strongly involved in an initiative, known as ‘Neue Bodeninitiative’ in German, whose aim was to prohibit the Basel-City State to sell public land. The Abendrot Foundation is a sustainable pension fund involved in real estate activities. It was founded in 1985, when pension funds became mandatory in Switzerland and its founders noted the lack of sustainable pension funds in the country. The foundation buys land and real estate properties and develops projects to benefit society; these projects can include the construction of new buildings or the transformation of commercial and industrial areas in sustainable neighbourhoods. 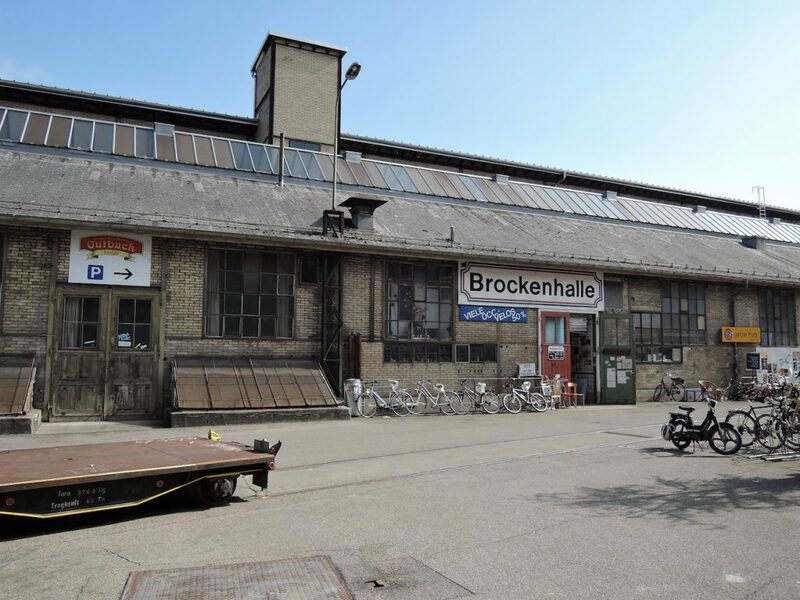 One example is the almost 50,000 square meters Sulzer property in Winterthur, Switzerland, a former industrial site adjacent to the train station. 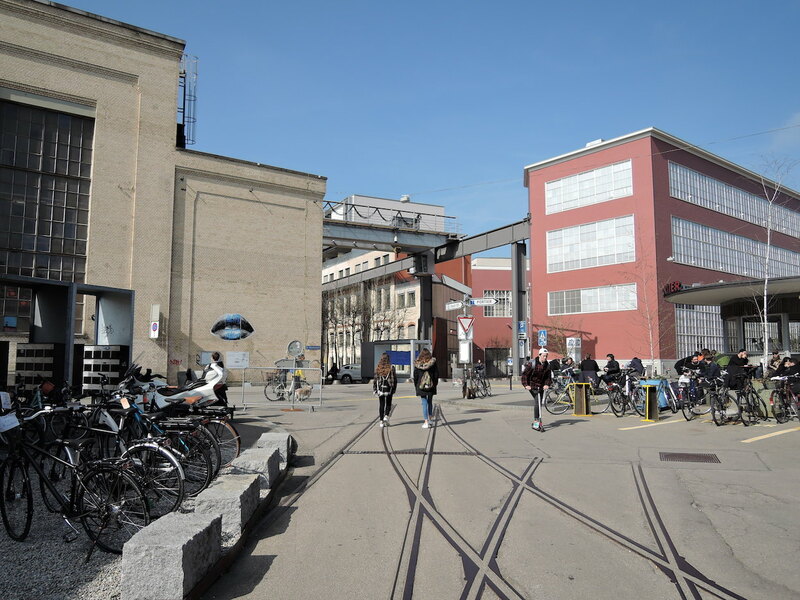 When the production of machines stopped at the end of the 1980s, different uses of the space developed, transforming the property into an urban neighbourhood focused on work and leisure activities. In 2009, the Abendrot foundation bought the property on the initiative of the local tenants’ association and defined, together with the site’s actors – including tenants, members of the local neighbourhood associations and representatives of the city – the development strategy to be implemented for 2020. The foundation works towards real estate affordability, through the creation of affordable housing built with tenant participation and environmental friendly criteria. The foundation’s pension fund is managed by banks in Switzerland, following sustainable criteria. Abendrot has grown from an organisation of only two people at creation to its current size of 30 employees. It works with over 1,285 companies that share the foundation’s philosophy to achieve its affordability goals. Current challenges faced by the foundation include an increasing number of regulations, which make the work of pension foundations more difficult. Due to escalating costs in the land and real estate markets, state intervention has increased in attempts to ensure land and real estate is allocated to non-profit developers. The Abendrot Foundation’s status as a for-profit developer can make it more difficult for the foundation to acquire plots. The PWG (‘Preisgünstige Wohn- und Gewerberäume’) Foundation promotes the creation of affordable housing and commercial spaces in the city of Zurich. The PWG foundation is a public entity founded in 1990 by the city of Zurich, following the initiative of the left-wing Socialist party, focusing on purchasing real estate and renting spaces below market prices. At its beginning, the city funded the foundation with 50 million Swiss Francs, money which allowed the foundation to start buying properties house by house. Through its activities, the foundation helps the city of Zurich achieve its ambitious goals of housing affordability in the city. Even though it was initiated and funded by the city of Zurich, it is an independent body. The PWG foundation board is designed to reflect the ratio of the Zurich city council in terms of political parties. The foundation typically acquires entire buildings and surrounding land and, depending on the situation, may build an extension to an existing building, replace an old building with a new one, or renovate the existing building. The PWG foundation does not focus on land acquisition itself, due to land scarcity in the city of Zurich. Rather than investing in the acquisition of one big estate, the foundation’s strategy is to buy small properties. As the foundation typically owns entire buildings, diversity in terms of age, household type and household revenue is taken into account during the tenant selection process. Other criteria for tenant selection includes the financial situation of the tenant – the rent should be in proportion with what the tenants earn -, the number of people who will occupy the space – there should be one room more than inhabitants of the apartment -, and the urgency with which the potential tenant needs a space. 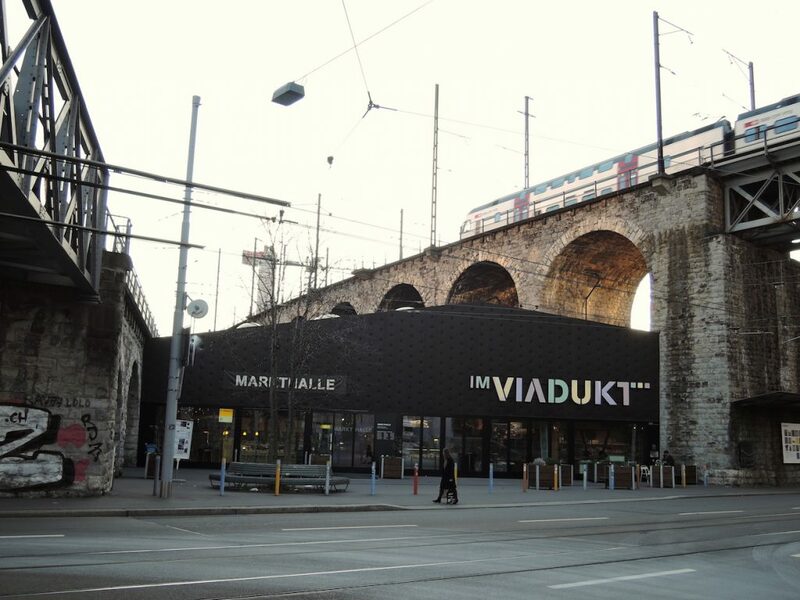 The foundation occasionally develops non-housing projects as well, such as the rehabilitation of a train viaduct in the city of Zürich into a commercial and meeting space for the neighbourhood. Workshops with local populations and interest groups were organised as part of the design process. The Wohnbaustiftung Baden was created by the city of Baden in 2012 to oversee the development of the Brisgi area with a specific focus on family housing. The Brisgi area is a socially weak zone located within city boundaries, facing development issues. Formerly occupied by shack dwellings for workers of the nearby factory, it is currently occupied by three housing blocks. The creation of the foundation was a measure agreed upon in the housing strategy of the city in 2010, in response to a popular initiative from the left-wing Socialist party of the city of Baden. The decision to focus on family housing and to limit the action of the foundation to the specific Brisgi site, two aspects which reduced the broader approach of the Socialist party’s original initiative, can be seen as a political compromise between the left- and right-wing political parties. In the framework of the housing strategy, other measures in addition to the creation of the foundation are taken simultaneously, in order to work towards land and housing affordability. For instance, the city gives plot rights for some of its properties; for instance, as owner of the Brisgi property, the city gave plot rights to the Housing Foundation Baden. 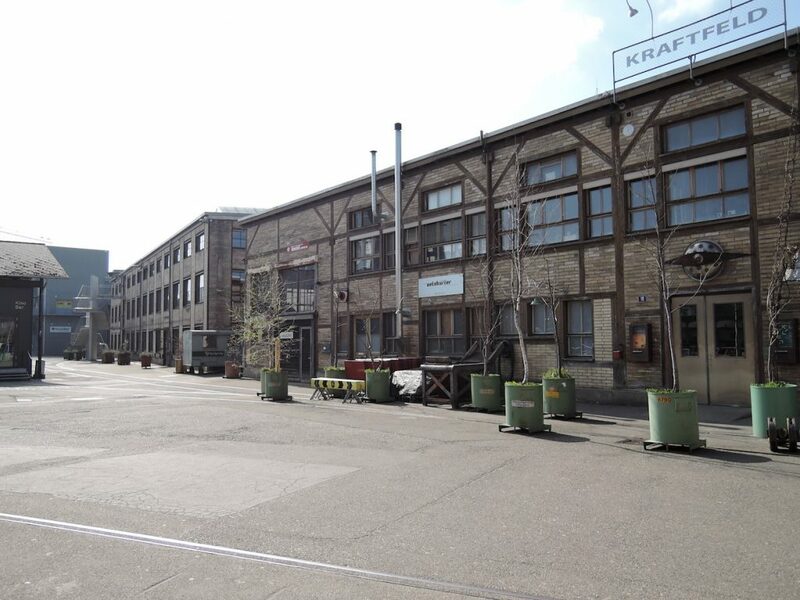 Currently, as the foundation continues to develop the Brisgi area, the Wohnbaustiftung Baden is looking to purchase other properties or to acquire plot rights in order to develop other neighbourhoods in the city of Baden. Its focus on family housing has evolved into the development of sustainable and mixed neighbourhoods to allow for different household structures, such as one-person households. The foundation has its own autonomy but it is strongly linked to the city of Baden. Indeed, the city initiated the creation of the foundation, defining the foundation’s goals and funding it with 10 million Swiss Francs. Moreover, it is the city’s board that appoints the foundation’s board members – the city’s president himself is part of the foundation board. Other members of the foundation board are experts in their field, or are local figures. The PWG foundation in Zurich was used as a model for the creation of the Housing Foundation Baden; the former president of PWG is on the board of the Housing Foundation Baden. Housing cooperatives for affordable housing and citizen participation – Housing cooperatives are a widely known format in Switzerland; these organisations work towards housing affordability and quality neighbourhoods. In order to rent a space in a housing cooperative, tenants must pay a membership share – several thousands of Swiss Francs. Members of a cooperative are asked to contribute ideas and to participate in activities that benefit the cooperative. Once there is vacancy, members can rent the available space, which is typically rented at -20% lower than the market price because the rents are based on the running costs and no profit is made. It is the inhabitants themselves who manage the building administration. In many ways, it is a lifelong project to get involved in a housing cooperative. In Geneva, the state has created two structures that are active across the canton and work together towards the construction of affordable housing. The activities of these two foundations are regulated by laws. The foundation for the promotion of affordable housing and cooperative housing – Fondation pour la promotion du logement bon marché et de l’habitat cooperative or FPLC – is a foundation created in 2001, dealing with land prospecting and purchasing as well as area development. The second structure is composed of four real estate foundations under public law – ‘foundations immobilières de droit public’ in French, or FIDP – dedicated to the construction, purchase and maintenance of affordable housing stock for lower socioeconomic segments of the population in the state of Geneva. The two structures and the state of Geneva collaborate regularly, as representatives meet often and a representative of the FIDP sits on the foundation board of the FPLC. The FPLC buys buildable land, which it then sells or gives the plot rights to either the real estate foundations under public law (FIDP) or to housing cooperatives. FPLC does not build property itself. Money for the foundation comes from the fund for public utility housing – in French, ‘fonds pour logements d’utilité publique’-, made available by the state of Geneva. There are currently four real estate foundations under public law that spring from the nine original foundations created by the state of Geneva. 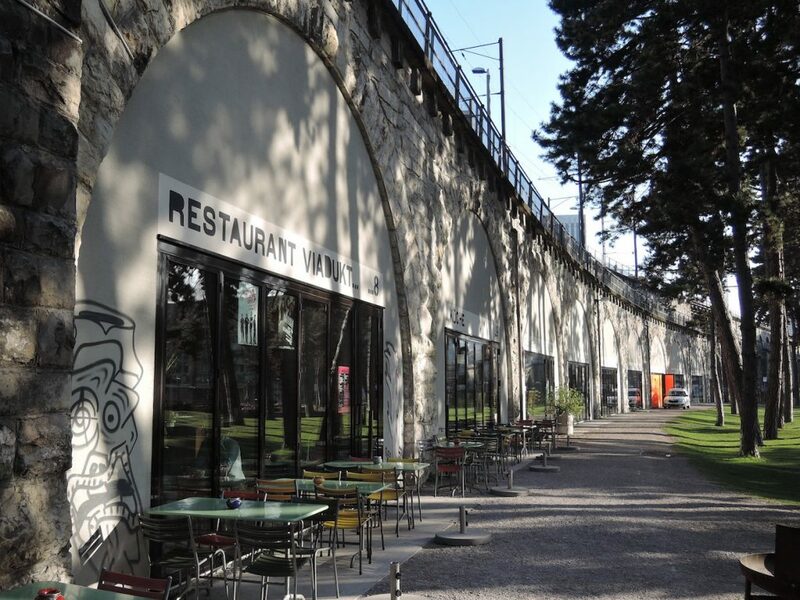 The oldest of these initial foundations was created in 1919 after the socio-economic turmoil of World War I to oversee the creation of affordable and decent housing in the state of Geneva. The second foundation was created in 1923 to oversee housing and to combat unemployment in the construction industry. Between 1948 and 1954, seven additional foundations were founded to counter housing shortages. The four current foundations – the Camille Martin, Emma Kammacher, Jean Dutoit and Emile Dupont foundations; their names being a tribute to political figures active in the social housing and construction sector – are organised similarly and are united under a Secretariat, along with the René and Kate Block foundation, which were founded with private donations and work for housing affordability for old people. Each foundation is comprised of 2 commissions – housing and construction – and 14 of the 15 foundations’ board members are elected by the political entities of the state of Geneva. Financial mechanisms are as followed. The real estate foundations invest to purchase land; investments are financed up to 15 percent by the state of Geneva. In order to develop housing projects, the foundation borrows money from banks and monthly rent collection serves to repay the investment, as well as to reimburse mortgage debts and keep up building maintenance. Real estate, as a source of revenue to develop activities for the common good – Some private foundations in Switzerland manage their real estate properties, which they rent at market price, as a source of revenue to develop their activities in their fields of interest. This is the case with the Christoph Merian Foundation, active in Basel since its creation in 1886. With its focus on social issues, culture and nature, this foundation has used its real estate properties to fund, among others, urban development projects such as the remodelling of a tramway station. With high land and housing prices and land scarcity in big cities in Switzerland, one can ask oneself how foundations can be competitive. According to a rough estimate, real estate prices have easily doubled in the past ten years in the city of Zurich, as well as in other parts of Switzerland. The foundations discussed in this article have anticipated changes in land and housing market prices and used different strategies to adapt to rising prices. A representative of the PWG foundation mentioned that it is now difficult for them to pay the prices the housing market demands. Indeed, investors are able to offer more money, as they ask higher rents of their tenants. Moreover, people are reluctant to sell their properties, as real estate is a safe place to invest their assets. This is compounded by the fact that the Zurich city-district, where the PWG foundation is active, has limited development possibilities due to land scarcity and pressures on the housing stock. To tackle these issues, the foundation gets in touch directly with housing owners in order to buy their property before it goes on the market. It is also in the process of acquiring land and housing through legacy and donation, a trend which is in its early stages but which the foundation hopes to be able to develop further. For the past few years, the FPLC in Geneva has further developed many of its activities. Indeed, in the mid-2000s, the foundation was only managing a few plots; now it is developing 30 zones in the canton of Geneva. In order to be more successful with land purchasing, the foundation has grown its land prospecting capabilities, and has focused on cultivating close contact with potential sellers and land developers. The foundation gauges plot owners’ interest in the foundation’s mission in order to encourage sales; it also works to exchange properties with the owner of a desired plot, offering other plots or housing to the owners in return for the desired plot. Financially speaking, the foundation is able to pay for land in totality at purchase, whereas land developers usually proceed with a sale agreement that does not include an immediate transfer of money. An advantage of the FPLC is that it has a long term vision, in the sense that it can buy a plot knowing that nothing will be built on it for some time whereas land developers, for instance, need an immediate financial return. Between 2000 and 2010, it was possible for the FIDP to purchase housing at a competitive price. Later on, opportunities to buy began to be scarce, as market prices increased. Today, real estate foundations under public law rarely purchase existing buildings. However, buildable land was more recently made available, as agricultural land in the state of Geneva was converted into buildable land. The real estate foundations under public law built around 150 to 250 housing buildings a year in the last three years – it is estimated that the same yearly amount will be built for the next four years – whereas they were only able to build around 80 housing buildings a year, ten years ago. From 2000, faced with the difficulty of purchasing housing, the foundations considered tripling the density of selected plots by replacing old buildings with new ones, which meet the current needs of the population. The FIDP has grown in the course of the years, in terms of housing stock and in terms of employees. The Secretariat overseeing the nine real estate foundations employed nine people in 1980 when it was created; today, it employs 41 people, including professionals such as architects, engineers, lawyers and accountants. What are the advantages of a foundation that works towards land and housing affordability? Instead of creating a department within its administrative body to deal with land and housing affordability, the state can choose to create a public foundation. The first reason to do so is that the role of the state is to enforce laws; its role is not to be a real estate agent. Moreover, processes employed by state administrations take much longer than those used by foundations, which makes foundations more efficient structures. In the case of the Housing Foundation Baden, the possibility of creating a specific department within the city administration was discussed but discarded due to political concerns. In creating a foundation, the founding political entity can also have more control over a foundation’s activities, as would not be the case with the creation of a housing cooperative or an association. Indeed, with these two latter formats, the political entity – city or state for instance – would be one player among others, each player having the same influence over the decision. In fact, in order to deliver specific services – such as working towards affordable housing for the lower segments of the population or managing a city’s airport – states in Switzerland often create foundations under public law because it is the tool which best meets their needs. In the case of a private foundation, the format of a foundation offers a lot of flexibility. Compared to other types of institutions such as a cooperative or an association, foundations – private or public – of public interest are tax-free. As we have seen, the model of a foundation allows for a variety of organisational structures and actions, and can take different forms, a fact that partly explains why the foundation model is a popular one in Switzerland. We have described foundations that are part of a public system, funded by the state to deliver a service. We have also described some examples of private foundations and have observed that these private foundations may or may not choose to work closely with the private sector. Although the foundations described in this article mainly focus their activities on affordable housing, we noticed that the methods and mechanisms used by the foundations for affordable housing have been increasingly used for non-housing purposes as well. All the foundations described in this article are active locally; indeed, public foundations are typically restricted to the administrative boundaries where their funding comes from. It is interesting to note that inter-state collaboration between foundations active in urban planning has not developed. In fact, urban planning regulations in Switzerland vary from state to state, which makes collaboration and peer review more difficult. Though the work that foundations do to promote land and real estate affordability is an interesting and much needed added value to cities, foundations are not the only way to achieve affordability. Among other options, housing cooperatives can also help achieve this goal. In fact, in the development of a city, it is important to allow different kinds of institutions and actors to develop their activities side by side and hand in hand. Community, Economy , article, civic space, commons, community, finance, foundations, Funding the Cooperative City, governance, housing, network, ownership.